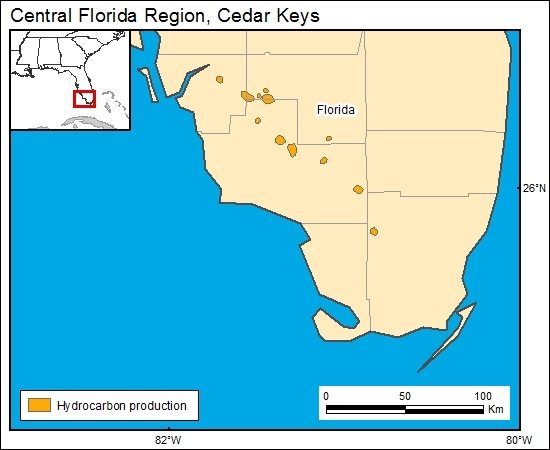 Hydrocarbon production in southern Florida is from the Lower Cretaceous. None has been reported from the Cedar Keys and Lawson Dolomites. We used the oil-field location map of Meyer (1989) to show the locations of Lower Cretaceous production areas. Note that these Lower Cretaceous horizons produce large volumes of brines and that a portion of the brines are injected into boulder zones above the lower Cedar Keys and upper Lawson Dolomites.